I always have these Limited Edition makeup items that I just mull over forever... sometimes so long that they end up dangling on the edge of selling out before I buy them. I'm the type who is makeup obsessed and always wants so many things at one time, probably mainly because companies make things Limited Edition and so darn cute and/or awesome that you just have to get it. The most recent hauls have been caused by this want of the Limited edition awesome cuteness! So the Urban Decay Vice Palette was so on the verge of sold out that only Sephora online had it, and Ebay had them for nice big mark up of course. This one I mulled over since it first released back in mid September, then recently I saw a look by Xsparkage and Phyrra done using this palette and that sealed the deal for me. I ended up purchasing it on Sephora.com, I had almost ended not getting it but went back on the site later that day and got it. Needless to say I am extremely glad I did because a day or two later I went back on Sephora.com and they were out of stock never to return! Anyway I will have swatches of this one and a review since you can still technically get this on Ebay. This one I mulled over a little while as well, it cost $29.99 on the Lime Crime site and I wasn't sure I wanted to spent that much on it. So I waited... and waited... and waited, then I saw that it was being sold at IMATS for $15 and I was kicking myself for not asking someone to get me one. Then a couple days ago I went to the site and found it on sale for $14.99 and I ended up picking one because of course it was a way better price and it's just so darn cute. Anyway I will have more pictures of this one later as well as my thoughts on it. Right now they still have left for $14.99 on the Lime Crime site. Hope everyone is having a wonderful week, also remember to enter my giveaway for a $100 Gift Card here! Do you any of these? What's your thoughts? 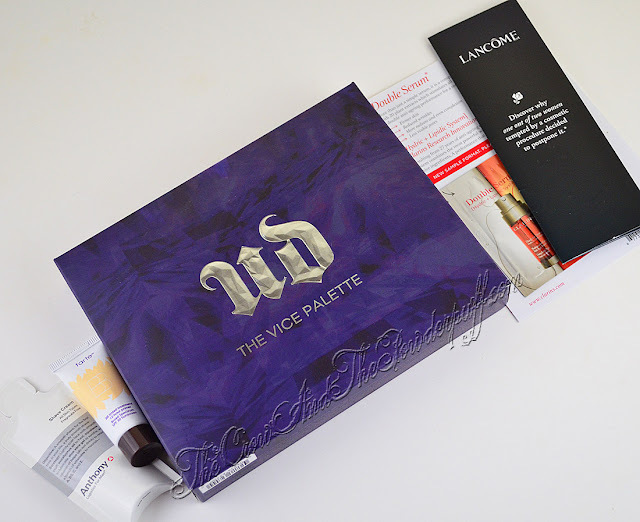 haha and I thought I was the last one to pick up the Vice palette :) I always screw myself over trying to decide (like the Cinderella Sephora mirror) and lose out. New motto: buy all teh things. Nope, I tend to procrastinate in buying the UD stuff cause last time I bought all the Book of Shadow palettes at full price then they went on sale at half price and I kicked myself! what did you buy exactly from Lime Crime? is that shadow pallete or a mirro? Oh! 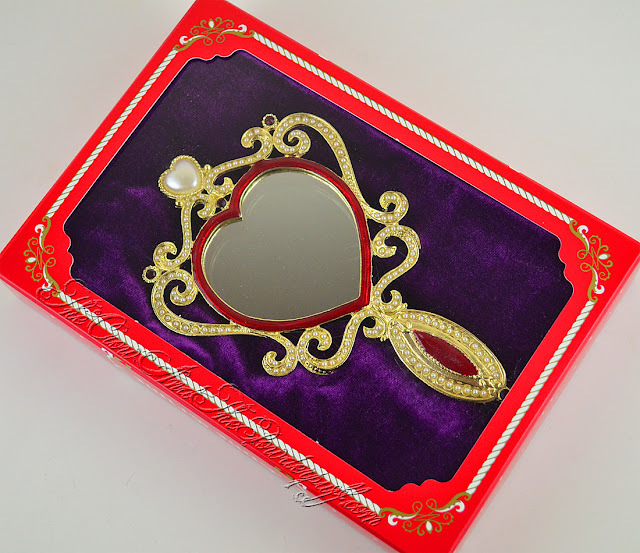 Forgot to note that lol, it's the Fairytale Hand Mirror.